Erschienen am 8. Juni 2010 bei Universal Music Spain S.L. Carmen Linares, Arranger, Work Arranger, MainArtist - Traditional, Author - Tomatito, Guitar, AssociatedPerformer Copyright : ℗ 1996 Universal Music Spain, S.L. Vicente Amigo, Guitar, AssociatedPerformer - Carmen Linares, Arranger, Work Arranger, MainArtist - Traditional, ComposerLyricist - Jose Manuel Gamboa, Producer Copyright : ℗ 1996 Universal Music Spain, S.L. Vicente Amigo, Guitar, AssociatedPerformer - Carmen Linares, Arranger, Work Arranger, MainArtist - Traditional, Author - Jose Manuel Gamboa, Producer Copyright : ℗ 1996 Universal Music Spain, S.L. Carmen Linares, Arranger, Work Arranger, MainArtist - Traditional, ComposerLyricist - Moraíto, Guitar, AssociatedPerformer - Jose Manuel Gamboa, Producer Copyright : ℗ 1996 Universal Music Spain, S.L. Carmen Linares, Arranger, Work Arranger, MainArtist - Juan Carmona, Guitar, AssociatedPerformer - Traditional, ComposerLyricist - Juan Habichuela, Guitar, AssociatedPerformer - Jose Manuel Gamboa, Producer Copyright : ℗ 1996 Universal Music Spain, S.L. Carmen Linares, MainArtist - Gerardo Nuñez, ComposerLyricist - Carmen Pacheco, ComposerLyricist - Jose Manuel Gamboa, Producer Copyright : ℗ 2002 Universal Music Spain, S.L. 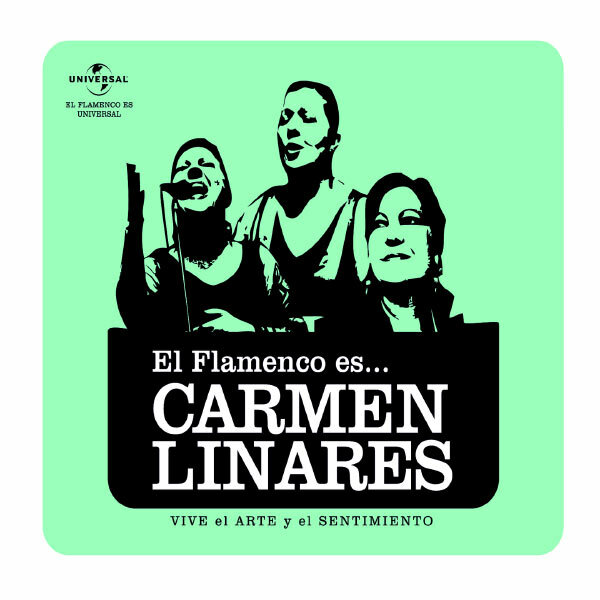 Carmen Linares, MainArtist - Gerardo Nuñez, ComposerLyricist - J.L. Borges, ComposerLyricist - Carmen Pacheco, ComposerLyricist - Jose Manuel Gamboa, Producer Copyright : ℗ 2002 Universal Music Spain, S.L. Carmen Linares, Arranger, Work Arranger, MainArtist - Traditional, ComposerLyricist - Paco Cortes, Guitar, AssociatedPerformer - Miguel Angel Cortes, Guitar, AssociatedPerformer - Jose Manuel Gamboa, Producer Copyright : ℗ 1996 Universal Music Spain, S.L. J.A. Rodríguez, Guitar, AssociatedPerformer - Carmen Linares, MainArtist - Traditional, ComposerLyricist - Jose Manuel Gamboa, Producer Copyright : ℗ 1996 Universal Music Spain, S.L. José Antonio Rodríguez, Guitar, AssociatedPerformer - Carmen Linares, Arranger, Work Arranger, MainArtist - Traditional, ComposerLyricist - Jose Manuel Gamboa, Producer Copyright : ℗ 1996 Universal Music Spain, S.L. Carmen Linares, Arranger, Work Arranger, MainArtist - Traditional, ComposerLyricist - Pepe Habichuela, Background Vocalist, AssociatedPerformer - Jose Manuel Gamboa, Producer Copyright : ℗ 1996 Universal Music Spain, S.L. Carmen Linares, Arranger, Work Arranger, MainArtist - Traditional, ComposerLyricist - Tomatito, Guitar, AssociatedPerformer - Jose Manuel Gamboa, Producer Copyright : ℗ 1996 Universal Music Spain, S.L. Carmen Linares, MainArtist - Pablo Martin, Double Bass, AssociatedPerformer - Gerardo Nuñez, Guitar, AssociatedPerformer, ComposerLyricist - Cepillo, Percussion, AssociatedPerformer - Juan Luis Cano, Choir - Salva Del Real, Choir - Carlos Herrero, Choir - Carmen Pacheco, ComposerLyricist - Jose Manuel Gamboa, Producer, ComposerLyricist Copyright : ℗ 2002 Universal Music Spain, S.L. Pepe De Lucía, ComposerLyricist - Carmen Linares, MainArtist - Jose Manuel Gamboa, Producer Copyright : ℗ 2002 Universal Music Spain, S.L. This Compilation ℗ 2010 Universal Music Spain, S.L.